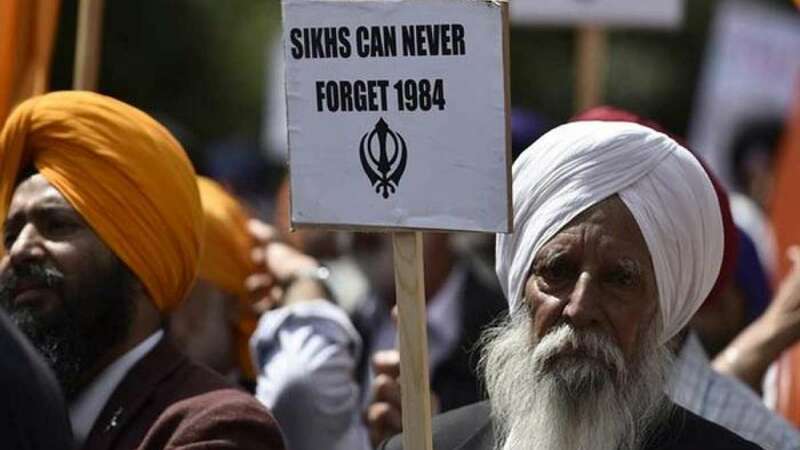 New Delhi : 1984 anti-Sikh riots case: The Delhi High Court on Monday (December 17) will deliver its order on pleas challenging trial court judgement which has acquitted Congress leader Sajjan Kumar but convicted five others in a 1984 anti-Sikh riot case. The judgement will be delivered by a bench of Justices S. Muralidhar and Vinod Goel, officials said on Saturday. In October, the High Court has reserved its order on the pleas challenging a trial court judgement which had acquitted Congress leader Sajjan Kumar but convicted the other five accused in the case related to the killing of five people in Delhi Cantonment area following the assassination of Indira Gandhi on October 31, 1984. The CBI has filed an appeal challenging the acquittal of Kumar and said that the trial court "erred in acquitting Sajjan Kumar as it was he who had instigated the mob during the riots". In 2013, the trial court had convicted five others former councillor Balwan Khokkar, former legislator Mahender Yadav, Kishan Khokkar, Girdhari Lal and Captain Bhagmal -- for their involvement in the case. The five convicts have also filed appeals against their conviction. Sajjan Kumar and five others were tried in the case involving the killing of five Sikhs -- Kehar Singh, Gurpreet Singh, Raghuvender Singh, Narender Pal Singh and Kuldeep Singh, who were members of the same family -- by a mob in Delhi Cantonment's Raj Nagar area.